On the heels of a record setting October, gambling revenues in Macau rose 21.3% year-over-year during November to $3.78 billion, topping analyst expectations once again. During the month Macau hosted their annual two week long Grand Prix event and a Manny Pacquiao boxing match at Las Vegas Sands’ (LVS) Venetian Macao resort, attracting more VIPs than anticipated as the region continues to diversify their entertainment options and find new ways to attract wealthy gamblers. Melco Crown (MPEL) and Las Vegas Sands are best positioned to capitalize on this trend with their strong presence on the rapidly growing Cotai Strip, Macau’s version of Las Vegas Blvd. Given the revenue reports out of Macau the past two months, the major casino operators are well on their way to topping analyst estimates during the 4th quarter and continue outperforming the broad markets. 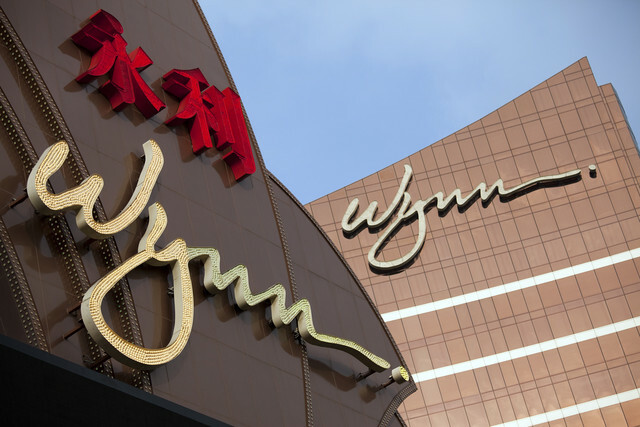 After seeing very strong 3rd quarter results from Las Vegas Sands (LVS) and Wynn Resorts (WYNN), it appears the momentum in Macau is still picking up steam. During October, gambling revenues in the region totaled $4.6 billion, the highest monthly total in history. During the Chinese Golden Week holiday, historically one of the most profitable weeks of the year in Macau, visitors from mainland China increased by 10.7% year-over-year. This jump can be attributed to the continued rise of the “mass-market” segment, composed of China’s growing middle class. These visitors are coming in higher numbers and spending more money than ever, a huge positive for the industry as it reduces the casino operator’s reliance on the more volatile VIP market, made up of super wealthy “whale” gamblers. Melco Crown Entertainment (MPEL) stands to be a big beneficiary of this trend as their City of Dreams Macau property is the dominant player is the mass-market sector. 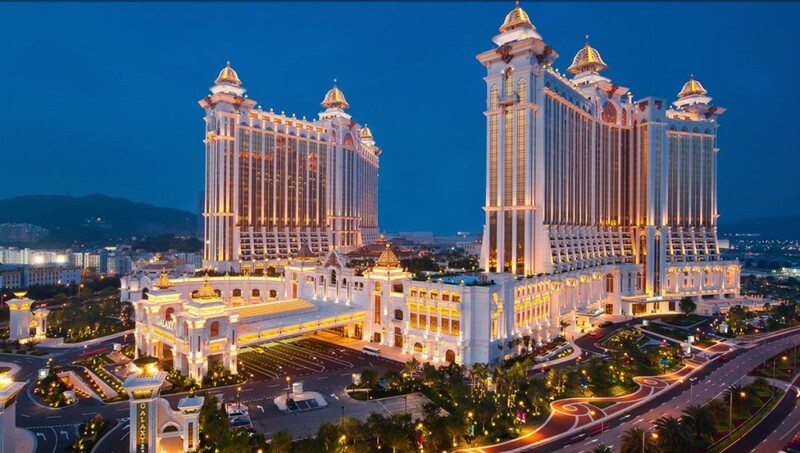 Hotels were near full capacity for the Golden Week despite the cheapest five-star room on the Cotai Strip priced at $737 per night. With such a strong start to the 4th Quarter in Macau, LVS, MPEL, WYNN and MGM are well positioned to outperform expectations for Q4 2013. 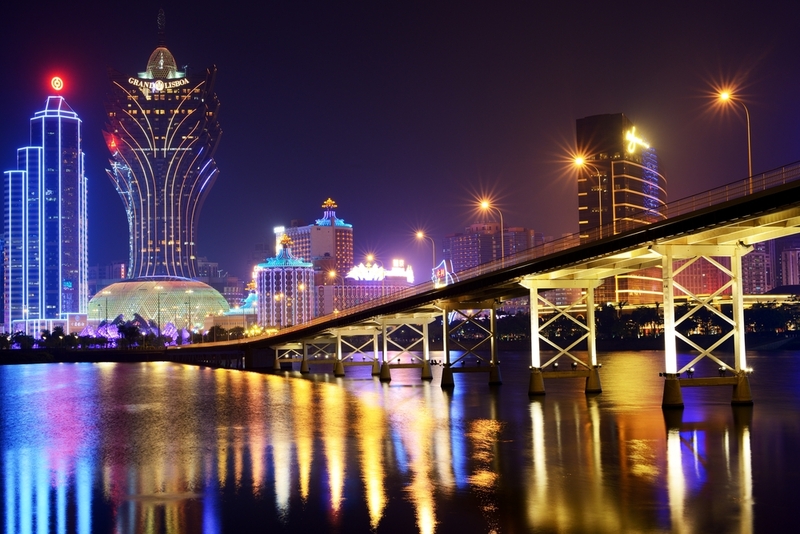 The Macau gaming industry continues to remain our favorite sector. The Q3 numbers released by both Las Vegas Sands (LVS) and Wynn Resorts (WYNN) in the past week reaffirm this thesis. 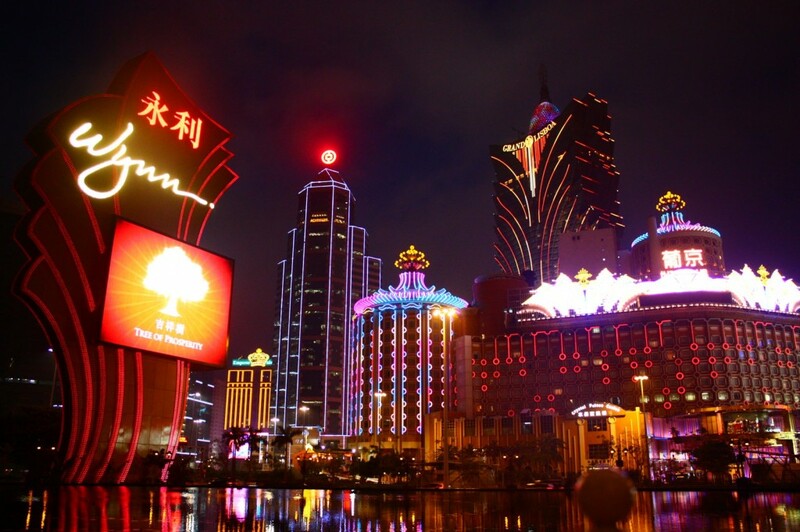 Las Vegas Sands kicked off the Macau earnings on the 17th, reporting earnings of $0.78 per share on revenue of $3.57 billion, analysts had predicted $0.75 EPS and $3.46 billion in revenue. Following today’s close WYNN reported revenues of $1.39 billion and $1.84 EPS, easily surpassing the $1.37 billion in revenues and $1.66 earnings per share that the street was looking for. While Wynn’s numbers continue to impress, it is worth noting that their growth prospects are limited until 2016 when they open the Wynn Palace on Macau’s Cotai strip. Until then expect growth rates near 10% as they continue to refine their Macau operations and gross gaming revenues for the region as a whole remain growing nearly 20% annually. The Wynn Palace project sports a $4 billion budget and is expected to be one of the most impressive properties in Macau when construction is completed, featuring one of the biggest casino floors in the region and a 1,700 room hotel. U.S. operations continued to remain stagnant as the Las Vegas gaming market continues to struggle. Revenues were up 1% year over year for the quarter totaling $392.5 million. Adjusted property EBITDA was $106.5 million, down 3.5% from the past year. CEO Sheldon Adelson reported that their Macau property portfolio attracted over 16 million visitors in the past quarter, generating revenue of $2.34 billion and $784 million of adjusted property EBITDA. The Venetian Macao remained their top property in terms of sales and profitability, generating revenues of $935 billion and $317 million of operating income. Sands Cotai Central, the newest property in the Sands China portfolio, looks poised to overtake The Venetian as their most valuable casino in Macau. After opening their second phase, Sands Cotai Central experienced revenue growth of 149% year over year in the most recent quarter, swelling to $736 million in Q3. A third phase is expected to include a St. Regis hotel and branded residences, which will only drive further profitability. The Four Seasons Hotel Macao also continued to perform for LVS, with revenues up 47% and EBITDA up 107.5%. The only slacker in the Sands China portfolio was the dated Sands Macao, which still grew EBITDA 11% year over year despite revenues falling by 3% to $305 million. Pictured above, Marina Bay Sands is the most impressive and expensive property in the LVS portfolio, and surprisingly to some resides in Singapore not Macau. Opened in 2011 and carrying a price tag of S$8 billion, Marina Bay Sands’ operating results continue to justify management’s decision to invest so heavily in the project. As one of only two licensed casino operators in Singapore, Las Vegas Sands stands to benefit greatly from the swelling in wages and net worth in the city-state. 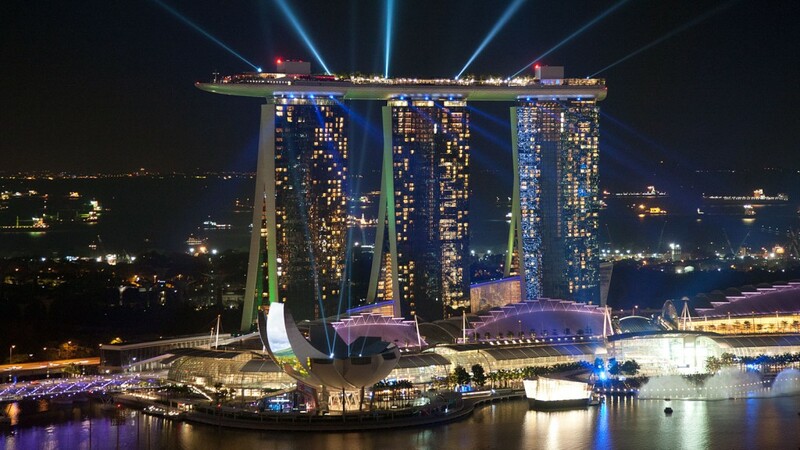 Revenues at Marina Bay Sands grew 24% during Q3, while adjusted property EBITDA jumped 43% to $373.6 million. Having lived in Singapore this year I can personally attest to the marvel that this casino/ resort is, and have witnessed first hand the huge appetite for gambling that exists in Singapore. We now look ahead to MGM Resorts (MGM) reporting on October 31st and Melco Crown Entertainment (MPEL) on November 5th to round out another strong earnings season in Macau. Already displaying great strength throughout the year, look for MGM and MPEL to also exceed consensus estimates this quarter on the heels of gross gaming revenues for Macau as a whole beating expectations the past few months. Initial numbers from Golden Week in Macau also came in ahead of expectations as reported two weeks ago and could lead to upward estimate revisions for Q4. Previously the subject of a feature report, Melco Crown Entertainment remains our top pick in the sector. Mass headcount and play levels remain strong, which we think should continue. We estimate mass table revenues could be up 31-34% YoY for the month, which is just above recent trend of 30-32%. Adding to a very strong September, numbers for Macau continue their trend of coming in stronger than expected. In no surprise to those with an understanding of the Macau market, tourist arrivals during the Golden Week were up 4.7% year over year, despite a ban on ‘zero-fare’ travel packages from mainland China. October is supposed to be a record month in Macau for Las Vegas Sands (LVS), MGM Resorts (MGM), Melco Crown Entertainment (MPEL) and Wynn Resorts (WYNN), and the first weeks result do nothing to indicate otherwise. I remain bullish on the entire sector and MPEL remains our favorite play in Macau out of the group. Numerous other analysts have reiterated or raised their ratings on the group, all echoing bullish sentiment. Citi also named MPEL as their top pick last week. 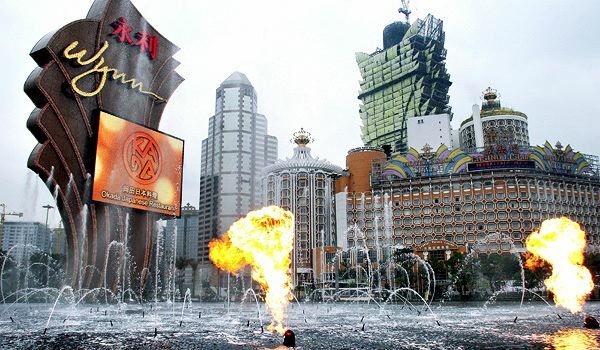 Capping off another strong month for Macau Casinos, the Macau Gaming Inspection and Coordination Bureau reported that gross gaming revenue for the month of September rose 21.4% year over year, versus a 12.3% rise in September 2012. For the year, Macau gaming revenues are up a robust 16.7%, as most month’s revenue figures year to date have exceeded expectations. Both the VIP and mass market segments have been strong. This bodes well for Melco Crown Entertainment (MPEL), Wynn Resorts (WYNN), Las Vegas Sands (LVS), and MGM Resorts (MGM). MPEL remains our favorite of the group, possessing the best growth prospects, cleanest balance sheet, and is currently the only Macau pure play listed on US markets. In the most recent quarter, 70% of WYNN revenues came from Macau operations, 64% for LVS, while MGM generated only 34% of net revenues in Macau. Expect to see gross gaming revenues continue to come in strong for the whole region for the remainder of this year and into next. For more on MPEL check out our full report, The Best Bet in Macau is Melco Crown Entertainment.